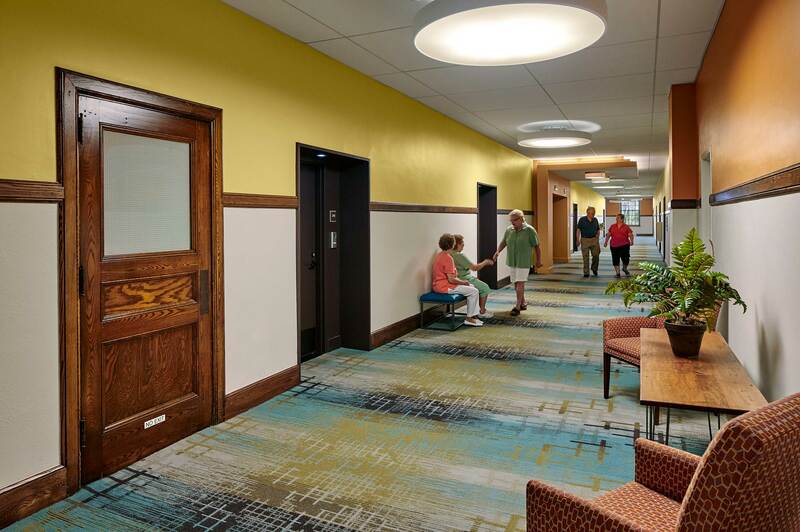 At the heart of the Webster community, a once thriving building full of activity had become deserted and underutilized. 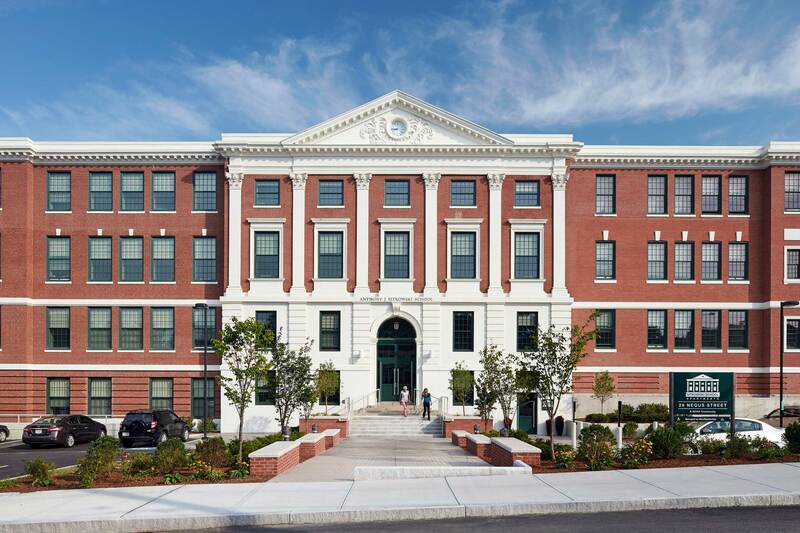 The challenge set forth by The Town of Webster and the development team of the Neighborhood of Affordable Housing (NOAH) was to capture the essence and energy of the historic high school to create an affordable senior community. Additionally, NOAH, the Town Selectmen and the Council on Aging agreed to relocate the Webster Senior Center into the former gymnasium. 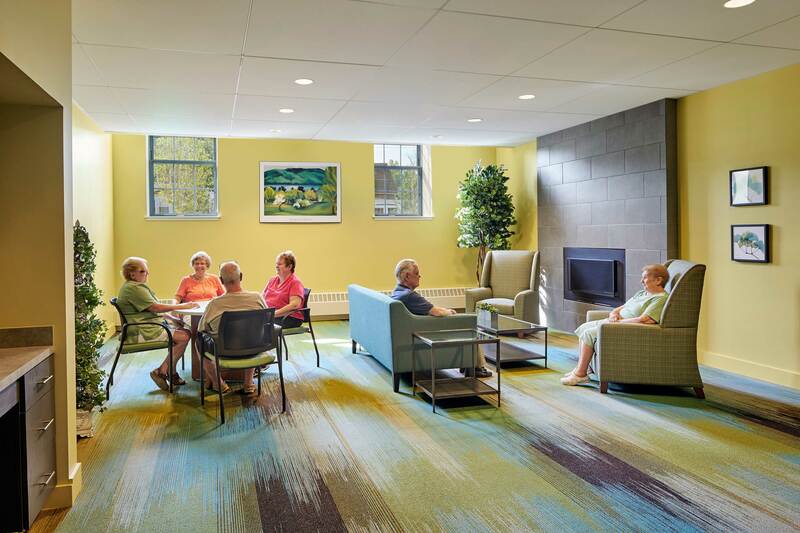 As the project evolved, the team programmed 66 units plus amenities into the building along with the senior center. 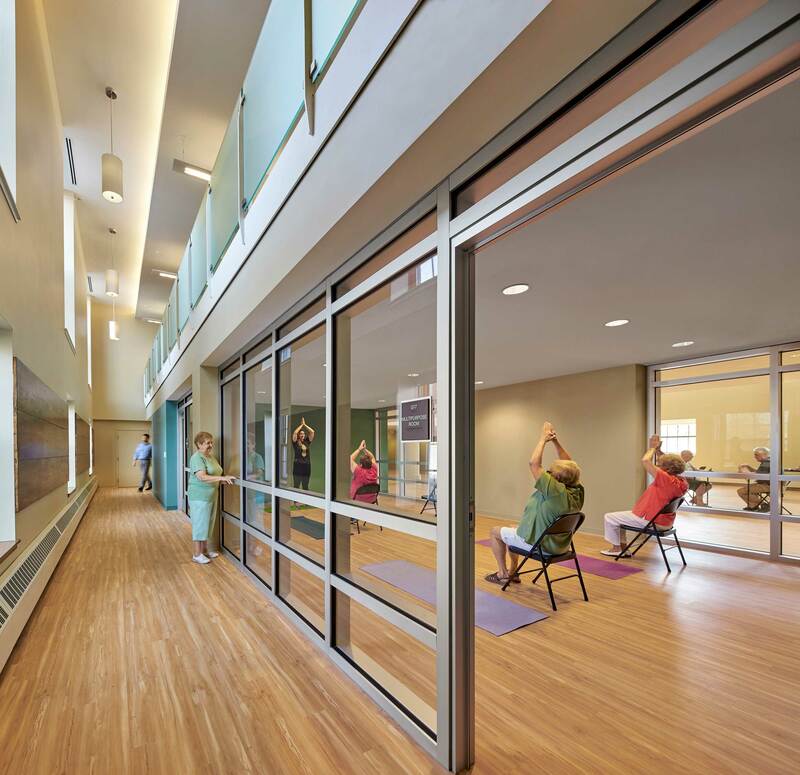 A mezzanine inserted into the gym floor to total 9,330 SF would create the center with its own entrance along the western side of the building off of Church Street but will be accessible from the residences so that seniors can enjoy the community activities without exiting the building. 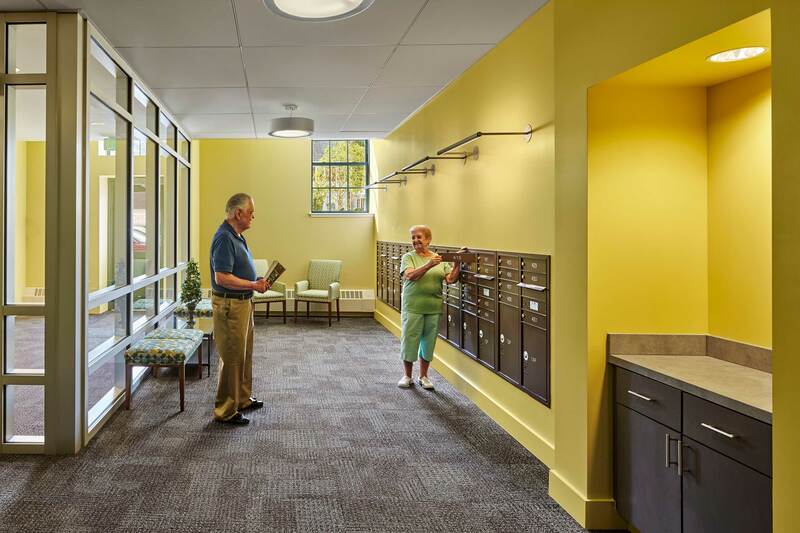 The Sitkowski project illustrates the benefits of adaptive re-use to revive the center of a community. 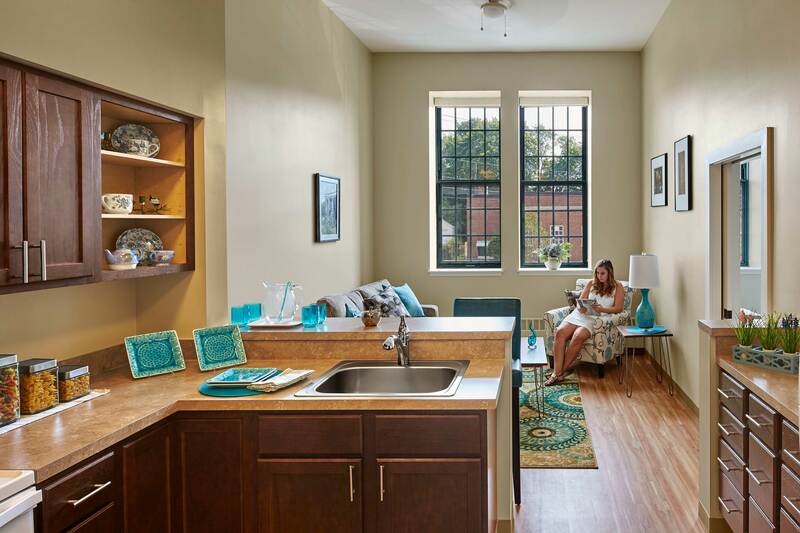 Residents not only enjoy a central location within the community but from the rich historical background associated with their residence. The Town of Webster gained 85,000 SF of Historical Tax credits.